Current and former Special Forces soldiers flooded Army Times with social media comments and emails, protective of the elite community’s legacy as the original wearers of a colored beret. While it’s true that President John F. Kennedy authorized Special Forces soldiers to wear a rifle green beret in 1961, the soldiers had been wearing them off the books for the better part of the previous decade — and they weren’t the first to do that. It turns out that all of the Army’s berets — from green to maroon to black, and the tan that replaced it — were first worn as an unauthorized morale booster. The first instance of a colored beret in the U.S. Army was in 1943, Army Historical Foundation chief historian Matt Seelinger told Army Times. The commander of the British 1st Airborne Corps gifted the paratroopers of the 509th Parachute Infantry Battalion — now a regiment, the unit is now part of 4th Brigade Combat Team, 25th Infantry Division — the deep red berets worn by British airborne soldiers. “It was a relatively small part of the American airborne contingent,” Seelinger said, and they stopped wearing them after the war. 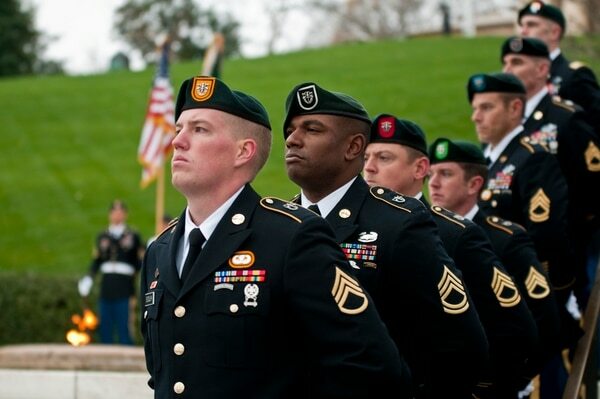 By 1954, American Special Forces soldiers had adopted an unauthorized beret of their own — green, like the British Commandos who’d begun wearing them during World War II. They were technically banned from wearing them in official settings, Army Historical Foundation intern Matt Fitzsimmons told Army Times, until Kennedy paid a visit to the U.S. Army Special Warfare Center and School at Fort Bragg, North Carolina. There, legend has it, Kennedy caught a glimpse of then-Brig. Gen. William Yarborough, SWCS’ first commandant, in his green cover and decided to make it the first authorized beret. “He, too, believed that the Green Berets needed something to set them apart from other soldiers, and perceived the green beret as a mark of excellence and pride for the Special Forces soldiers,” Fitzsimmons said. It wasn’t long before another beret came along. ”The next part of this saga is, in the late ‘60s, the armored and cavalry forces started wearing black berets,” Seelinger said, and, as before, they weren’t authorized. And in 1973, paratroopers in the 82nd Airborne Division brought back the maroon beret, though it still wasn’t an official uniform item. Two years later, when the Army stood up the first Ranger battalions, the black beret was officially authorized for Rangers and airborne. In 1978, then-Army Chief of Staff Gen. Bernard Rogers “laid down the law,” Seelinger said, authorizing only green for Special Forces. A year later, Rogers’ successor, Gen. Edward Meyer, brought back the Ranger black beret for good. In 1981, he officially the legitimized the airborne maroon beret, as well. Things chugged along smoothly for the better part of the next two decades, until then-Chief of Staff Gen. Eric Shinseki flipped the table in 2000 and authorized the black beret for all soldiers. The Rangers then switched to a tan beret, hearkening back to World War II British Special Air Service headgear. Cut to late 2017, when photos of an olive-green beret, along with an arrowhead unit patch and “combat adviser” tab stirred outrage. Detractors felt that SFAB soldiers hadn’t “earned” the right to wear a beret, much less one that was any shade of green. The same went for the black beret, he added. But what makes a unit elite? What makes a beret earned? 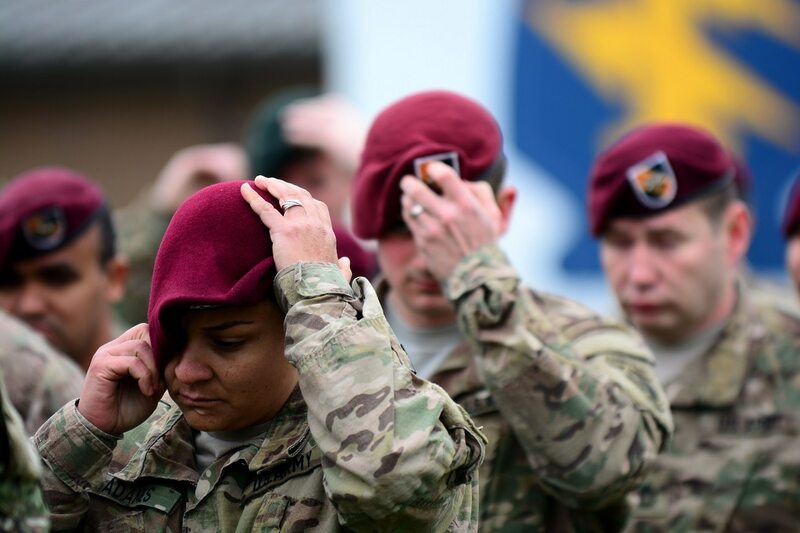 Special Forces and 75th Ranger Regiment soldiers endure grueling selection processes, and their berets let everybody know that. And while airborne units are considered a cut above other infantry brigade troops, there’s no crucible to earn one. 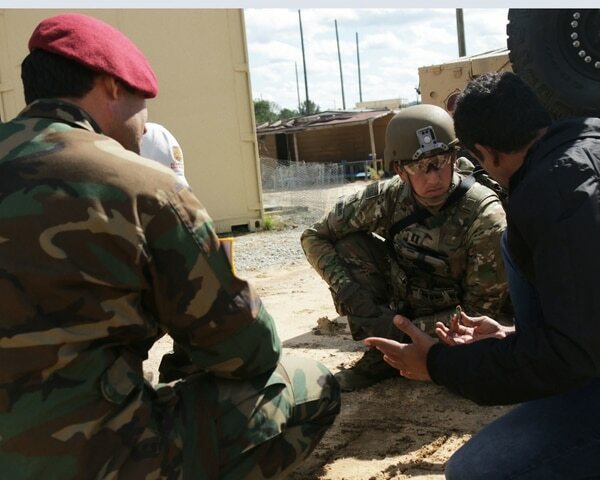 In fact, the only prerequisite for the maroon beret is being assigned to a billet in an airborne unit — and that can be everything from a human resources specialist in the 82nd Airborne to a public affairs officer with U.S. Army Special Operations Command, itself considered an airborne organization. The parachutist badge is the true mark of the paratrooper, Walker said, not the beret. And jump school is not a requirement in an airborne unit. For some, he added, it’s less about what one has to do to earn a beret, and more about its historical significance. Until now, Army berets could be traced back to combat-borne distinctions worn without permission by units who wanted to set themselves apart. McCarthy, who served in the 75th Ranger Regiment when the unit went from black berets to tan, reinforced that SFAB volunteers are second command-qualified officers and senior NCOs with combat experience, hand-picked by the chief of staff and sergeant major of the Army. He went to Fort Benning, Georgia, to visit in September, he added, as the first class at the Military Training Adviser Academy wrapped up. For the Special Forces community, Walker said, it’s important to be mature about it. In the end, Walker said, he believes the Special Forces community will embrace the addition of advisers for conventional troops, on one condition. “As long as Gen. Milley puts out a dark brown beret, that’ll smooth it over. With the exception that now the Rangers will be ticked off,” he joked.